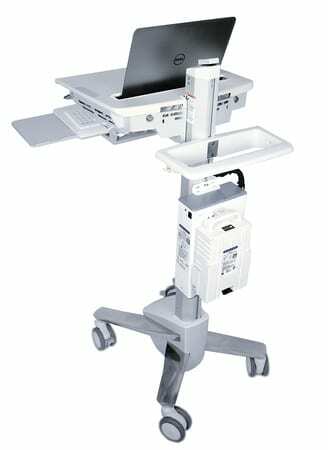 Several significant choices need to be made when purchasing a medical computer cart. The decision between buying a new used or certified pre-owned (also known as refurbished) cart will be one of the first. Often the choice is to go with the latest and greatest medical computer cart. While this is common practice, a lot of money could be saved by purchasing a refurbished medical computer cart instead of the newest model. So why has choosing the more expensive option become the norm? 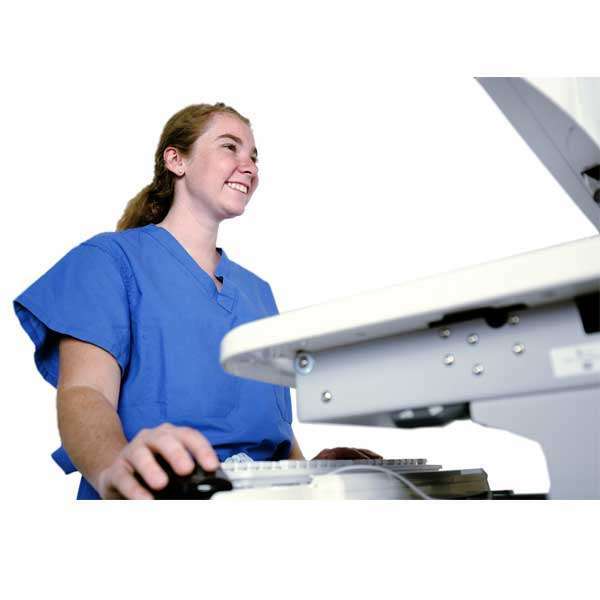 Common myths surrounding the purchasing of medical computer carts prevent health care facilities from actualizing the huge cost advantages of buying certified pre-owned medical computer carts. New products go from the manufacturing line straight to the healthcare facility. Used products have had some of the operational lifespan of the product previously used. Refurbished products fall in the middle of these two spectrums. Refurbished products have undergone varying amounts of use and have then been restored to a like-new condition by industry experts. Refurbishment involves taking a pre-owned product and repairing and renovating it to its original, like-new condition. There is a risk that used equipment may or may not work. It is discarded equipment, commonly sold as is. It requires the buyer to determine and bear the responsibility of the state of the equipment, as well as determining the worth of the investment. As such, purchasing used healthcare equipment often is simply not a viable option. Purchasing a repaired and restored refurbished item though can represent an excellent prospect for cost savings if one can see past the myths surrounding it. A primary concern regarding refurbished medical carts is the extent to which it can be customized. Although older models may differ, refurbished medical computer carts have all the same customization options as new carts. Thus, the desired custom features for creating personalized, optimal functioning medical computer carts can be achieved at a dramatically lower price. There is a major misconception that refurbished medical equipment is more prone to damage than brand new equipment. This thought stems from the incorrect belief that refurbished medical computer carts are used ones that have only undergone basic function testing. There is no truth to this thought. Often the refurbished medical computer carts have slight manufacturing defects detected by the consumer which the manufacturer proceeds to fix and sells as a refurbished product. 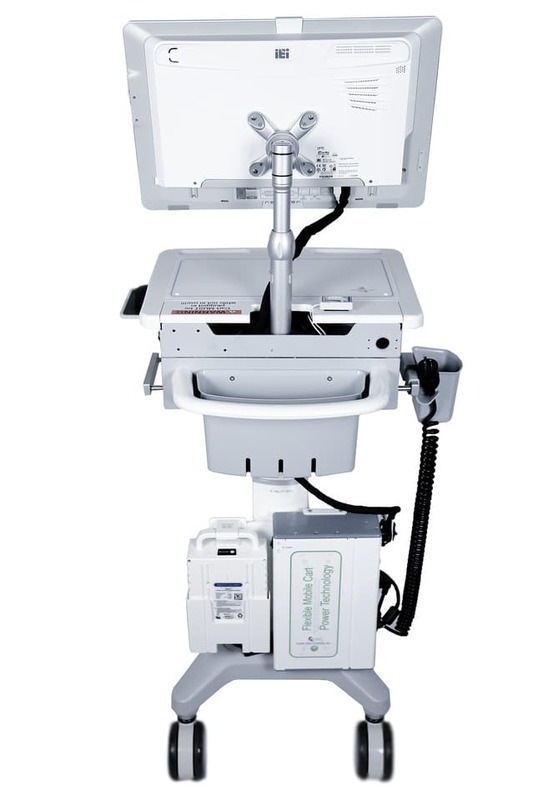 Hospitals also often exchange good condition equipment for newer models. These older models are then refurbished and resold. Another thing to bear in mind is that new models could be considered the riskier choice. New models have not yet survived extended periods of use in a healthcare facility, whereas older carts are confirmed in their functioning by having survived years of previous use. It is commonly believed that refurbished equipment is difficult to repair when faults occur. A way this is overcome is by having preventative maintenance in place as an ongoing core process. Preventative maintenance is an investment. It increases the working life of medical computer carts which at the same time minimizes any unexpected downtime. Using outsourced preventative maintenance is an excellent way to keep refurbished carts in an ideal state of repair and allows access to quality replacement parts. A norm for purchasing brand new equipment is the inclusion of a 1 – 3-year warranty that covers any damage to the product. This is not the case when purchasing used equipment where no warranty is provided. A refurbished medical computer cart, however, is restored and repaired by a highly qualified technician which is why a limited warranty can be confidently offered. The well-known relationship between quality and price exists for a reason. High-quality goods are consistently more expensive. The economics of refurbishments cannot be compared in the same regard. The high retail price that covers the manufacturer’s costs has been covered in the initial transaction. Costs for refurbishments consist only of the repairs and maintenance on the pre-owned carts. That is why refurbished medical computer carts can be sold at a significantly lower price. In the medical industry where price and quality are synonymous, it can be difficult to recognize the benefits of purchasing refurbished medical computer carts rather than a new model. When the myths have been debunked though it becomes clear that purchasing a refurbished medical computer cart is a great option to obtain a quality, customizable, and warrantied product at a dramatically lower price.